A novelty at Tucson 2018. 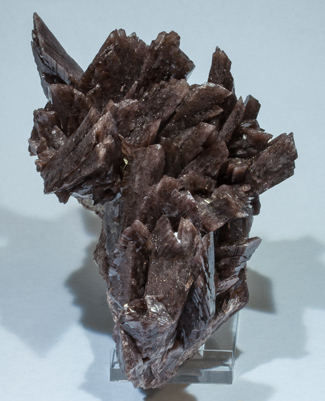 Aggregate of very sharp Axinite (Group) crystals, translucent and bright with a deep and uniform brown color in violet shades. The sample is from a new Peruvian locality, not yet well known.